This was a Jewish wedding ceremony at the Ritz Carlton Marina del Rey. I love the unique culture that comes with the Orthodox Jews. 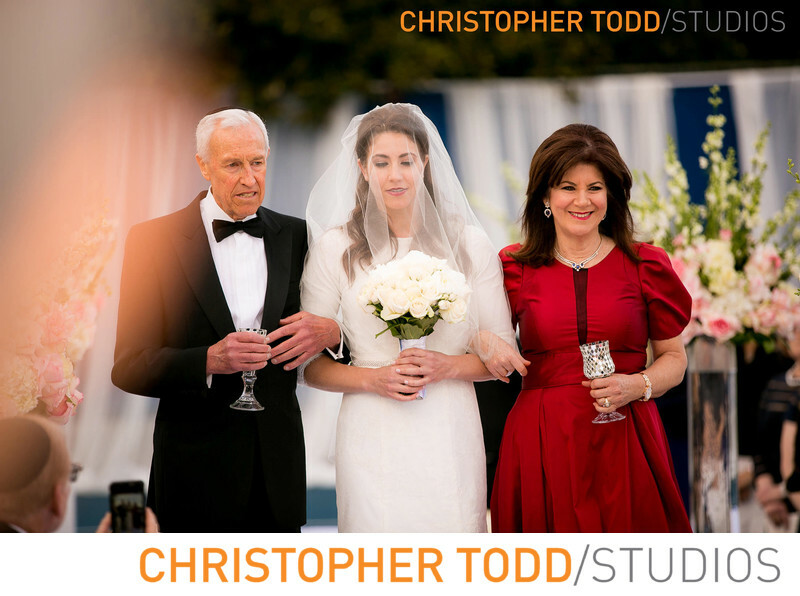 The bride is escorted down the aisle by both her mother and father where she greets her groom under the chuppah. Once there the parents stand by the bride's side throughout the entire ceremony. The groom also walks down the aisle with his parents. In this photo the mother and father are holding kiddush cups for the blessing over the wine. 1/200; f/2.8; ISO 160; 200.0 mm.